Dr. Lamblin travels to Saas-Fee, Switzerland to support the US Ski and Snowboard Teams. Last month, Dr. Lamblin traveled overseas to Saas-Fee, Switzerland, with the professional athletes of the US Ski and Snowboard teams. Saas-Fee is a ski town located high in the Swiss Alps. The athletes were attending a training camp to hone their skills prior to their upcoming competition season. 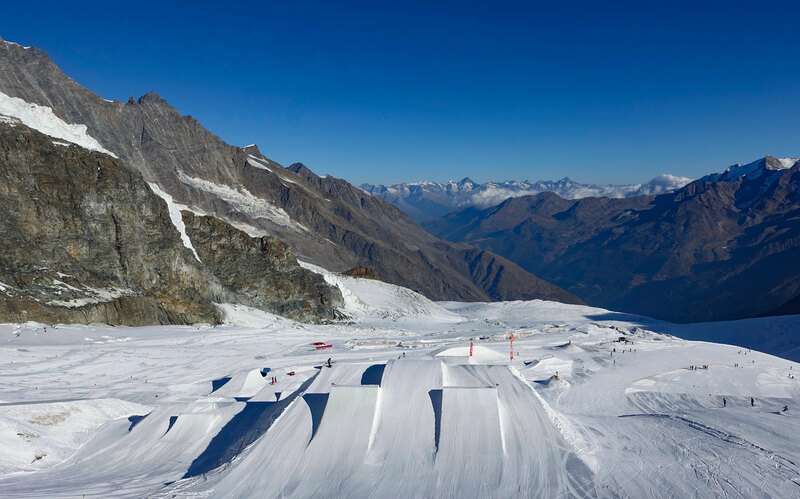 The glaciers above Saas-Fee offer a unique locale for fall training camps that provide professional level high-grade slopes, half-pipes and big air jumps. Dr. Lamblin intermittently travels with the US Ski and Snowboard teams to provide medical coverage and support. His responsibilities include working with a team of dedicated trainers and physical therapists. The medical team places great emphasis on conditioning and injury prevention efforts, as well as rehabilitation processes. 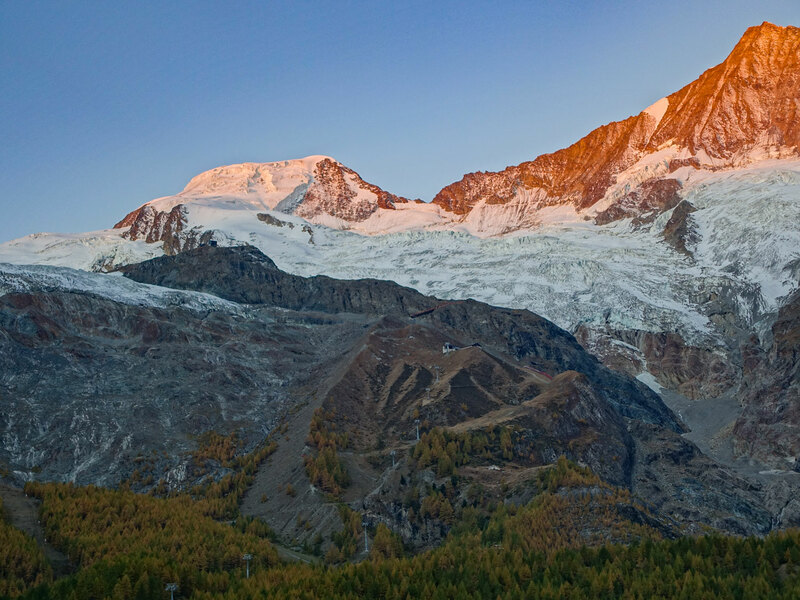 Each day, the teams would travel via two gondola rides and an underground train to the glaciated slopes above Saas Fee. Dr. Lamblin would spend the days onsite at the professional training course, where he triaged and treated injuries. For athletes with more severe injuries, Dr. Lamblin coordinated transfers to local care facilities and assisted in medical care. Dr. Lamblin would spend time in the evening rounding on injured athletes and checking on the rehabilitation progress of athletes with longer term injuries. Dr. Lamblin considers working with the inspiring athletes and exemplary training staff of the US Ski and Snowboard Association a great honor. He wishes all of the athletes the very best in their upcoming competitions! Dr. Lamblin shares advice for helping to prevent winter sports related injuries. Dress appropriately for conditions as they are, and as they may change to. Ski conditions can shift rapidly high in the mountains. Dress in layers that allow you to be warm, but not wet from exertion related sweat. Staying dry is key. Getting cold is not only uncomfortable, it makes you more prone to injury because it influences your performance and judgement. It is preferable to utilize your own gear. If renting or borrowing gear, ensure that it is properly adjusted to your size, stance, and ability level. Familiarize yourself with the equipment before your time on the slopes and then by taking some below-ability level runs in the new gear. Allow yourself time to warm up before you chase the powder down the double black diamonds. Even the pros start their days with basic, below-ability runs and jumps. Warming up is protective to your joints and muscles. There are many body movements that can achieve this goal. Stay hydrated. It is easier to lose track of this concept in winter sports, as opposed to warm weather sweat-inducing sports. However, winter air is dry and athletes experience large imperceivable water loss through breathing, especially in higher altitude ski resorts. Dehydration can have notable affects on your physical performance, mental clarity, and endurance, all of which are important for injury prevention. Advance physical conditioning in anticipation of ski season is important in injury prevention. A regular exercise program that incorporates leg muscle and core strengthening, in addition to cardio, is especially helpful. In Fremont County, we are lucky to have many great gyms and physical therapy practices that can assist you in developing a conditioning program that includes sport specific training. Avoid being over-fatigued. A significant percentage of injuries occur at the end of the day or on that "one last run". Listen to your body later in the day and choose an easier run or head in for apres-ski a little early. Many injuries in winter sports occur when athletes are either not prepared for the elements or fatigued. These factors are preventable. Of course, even with the best of preparation and physical conditioning, injuries still occur. Fremont Orthopaedics physicians are well-equipped to treat a variety of injuries for people of all ages. For an appointment, call 307.332.9720.